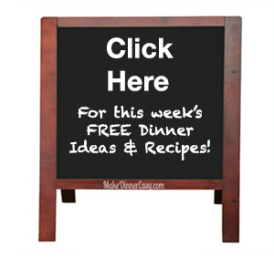 Have you ever seen a large family pack of chuck country style boneless beef ribs and wondered what to do with them or even wondered how to cook beef ribs? 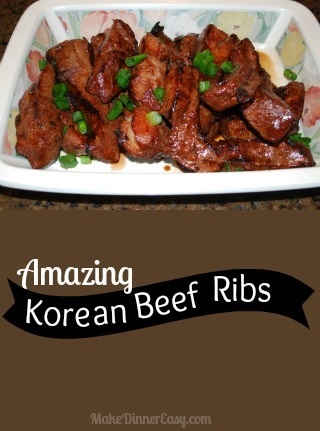 This recipe for Korean Beef Ribs is an easy answer. 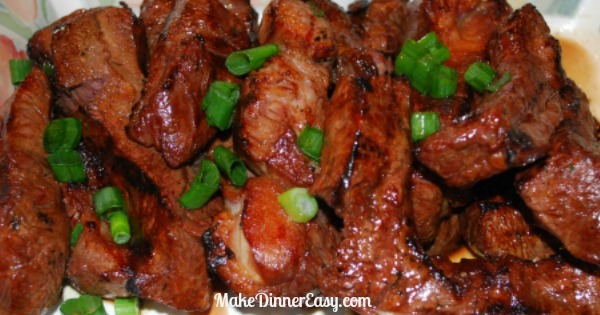 My kids love the flavor of the marinade and I love how easy they are to make. In a large size zip style bag, combine the soy sauce, sesame oil, sugar, garlic, and the white portion of the green onions (save the green portion for a garnish before serving). Add the ribs and refrigerate for 6-10 hours. Remove the ribs from the marinade and grill the ribs over medium heat approximately 5-8 minutes per side or until cooked as desired. Transfer to a serving platter and sprinkle the reserved green onions tops over the ribs. Serves 6-10 and this recipe can be cut in half. Leftovers work great the next day for tacos or on a salad.